Vanessa studied Film, Video and Photographic arts at the Polytechnic of Central London. She has lived and worked in the Balkans and Turkey for almost a decade. In her imagery she focuses on the junction between fiction and reality, exploring ideas around the concepts of border, land, memory, identity and history. She is interested in how stories are told. 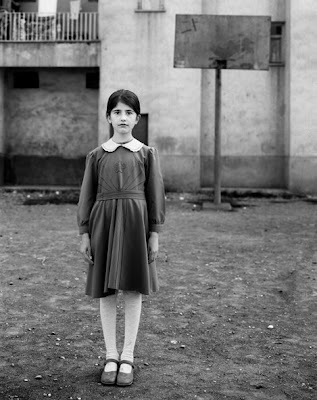 Her work has been recognised internationally: She is the recipient of two first prize World Press Photo Awards. In 2008 she received the Godfrey Argent prize at the annual Portrait Award from the National Portrait Gallery, London. She is current holder of the Iris D’or, Photographer of the Year, from the Sony World Photography Awards. 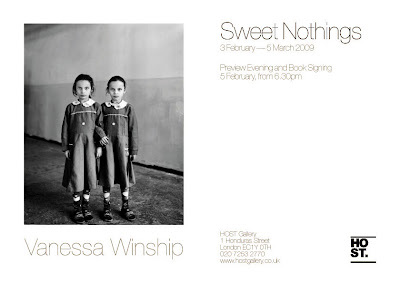 In 2008 she was invited to show Sweet Nothings at the Rencontres D’Arles festival of photography in France. Mare published her first book, The Black Sea, in 2007. Sweet Nothings is published by Foto8. I´ll be heading to the private view this Thursday evening around 6 so hope to catch you all there!